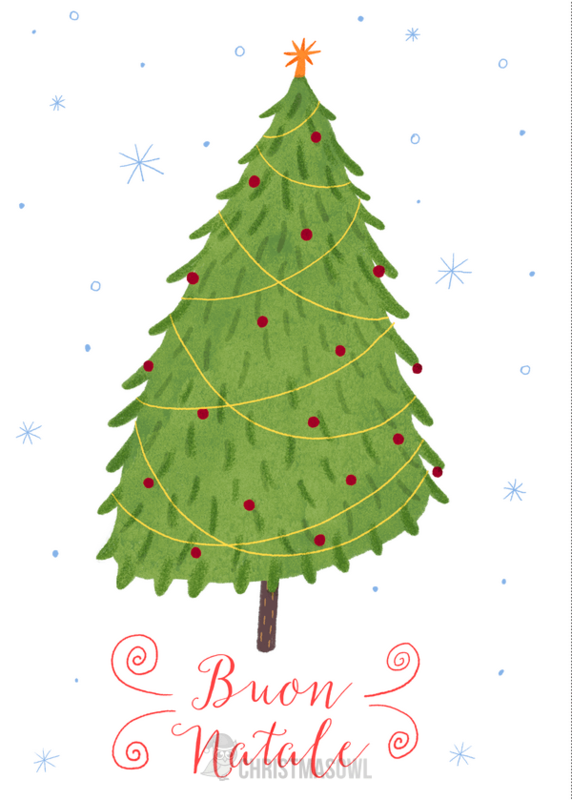 A simple design that features a Christmas tree and snowflakes with the text "Buon Natale" (Merry Christmas in Italian). The card measures 5 inches x 7 inches. It will fit in a standard A7 envelope.